Hans & Harry is a local bakery down in Bonita that I have heard about forever, but never went to. Which is silly, since Jake and I are usually in the area every other week to pick up his kids for a weekend. We finally went by to check it out afternoon when I was especially in the mood to try some sweet treats (which, FYI, is pretty much every afternoon, ever). This is what greets you when you first enter Hans and Harry. All of the pretty, delicious looking strudels are waiting to enter to your belly. And this is actually only ONE of the cases at the counter. I think I must have zoned out because I didn’t photograph the rest of the offerings. Just know that there is MORE. Though the strudel looked seriously awesome, I wasn’t in a strudel kind of mood. Instead we shared a variety of treats, one of them being this peanut butter bar. 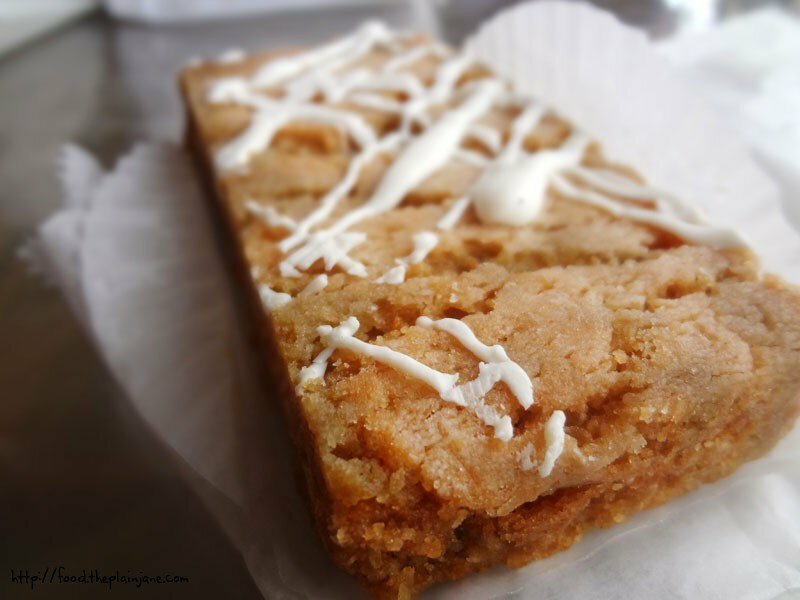 The peanut butter bar was sort of a cross between a cookie and a brownie. It had a softer, chewier middle (like a brownie) with the outer crust a little crisper (and cookie-like). Overall though it was a little dry and not super moist – I guess I was thinking it’d be more like a fudgy peanut butter version of a brownie. Too bad it wasn’t. 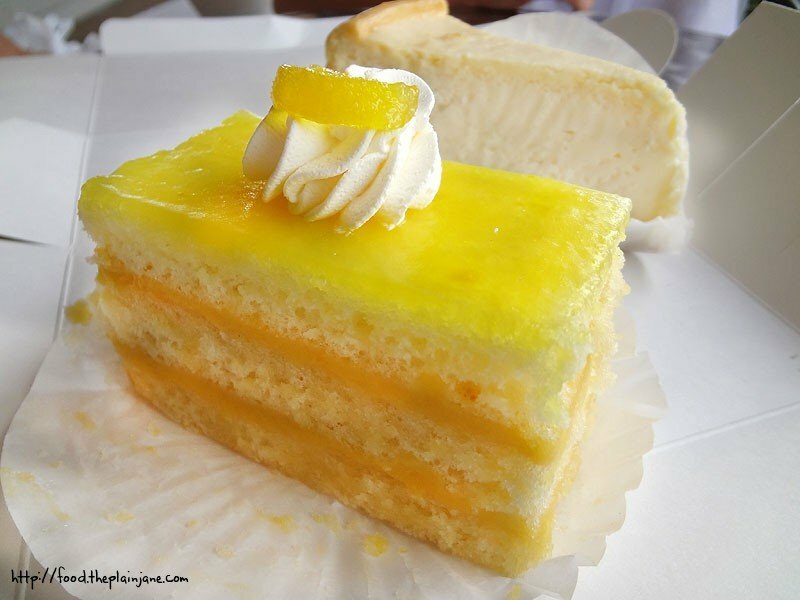 This is Jake’s pick – the Key Lime Cake that really looked like a lemon cake to me… probably because it’s so yellow. This definitely had a the pucker-your-lips-up tart flavor that I was expecting from Key Lime – maybe a touch too tart for my sweet-lovin’ lips. Jake really liked it, saying it was the kind of key lime flavor he expected. If you’re into tart desserts, then this might for you. The cake had a nice crumble and was moist as well. “Truffle” holds my attention pretty well, which explains why I got this one. 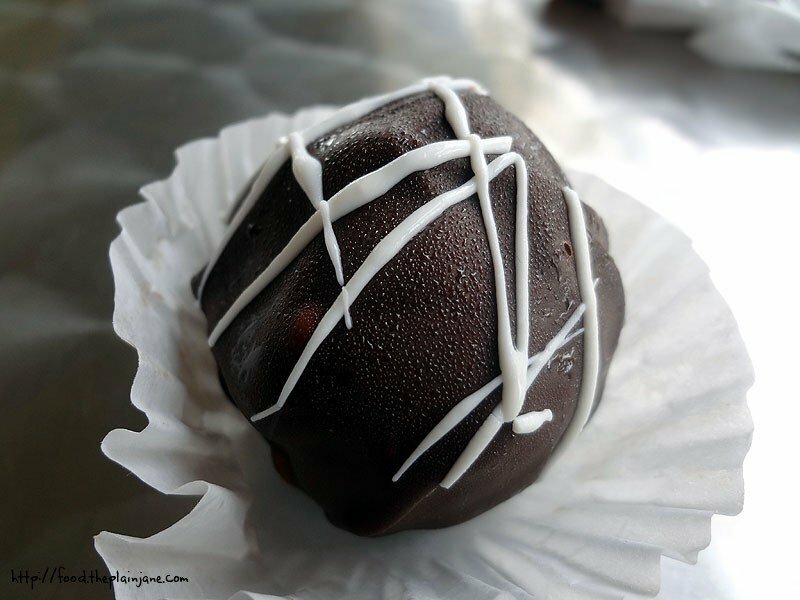 It was sort of like a cake ball. The inside of it was very chocolatey and rich – more like a brownie than cake though. 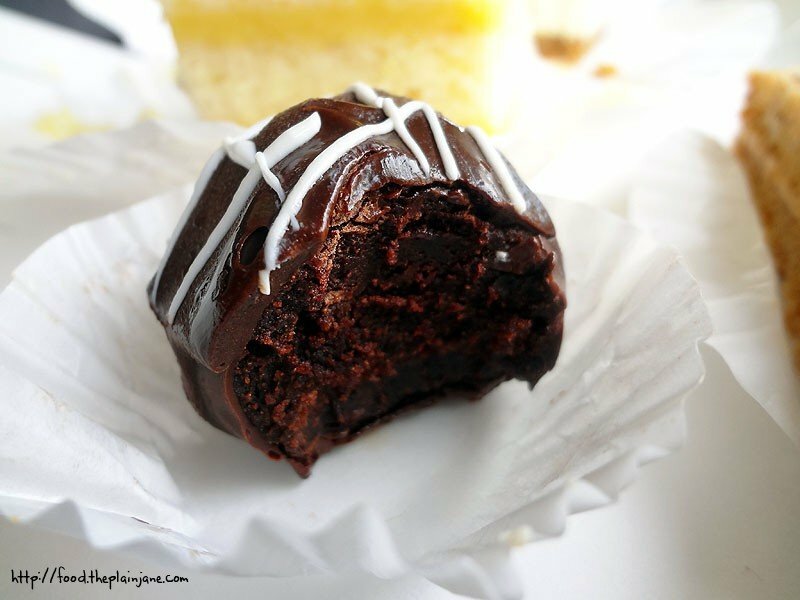 It was a very intense chocolate flavor – something only for true chocolate lovers since it’s chocolate on chocolate – it’s a small portion but incredibly rich! The cheesecake ended up being my favorite item for the afternoon. True fact about me: I don’t like cheesecake with “stuff” in it. You know how cheesecake factory have all of those “combination” cheesecakes, like pecan pie and cheesecake? Ugh, I can’t stand those. I want one or the other – not both together! 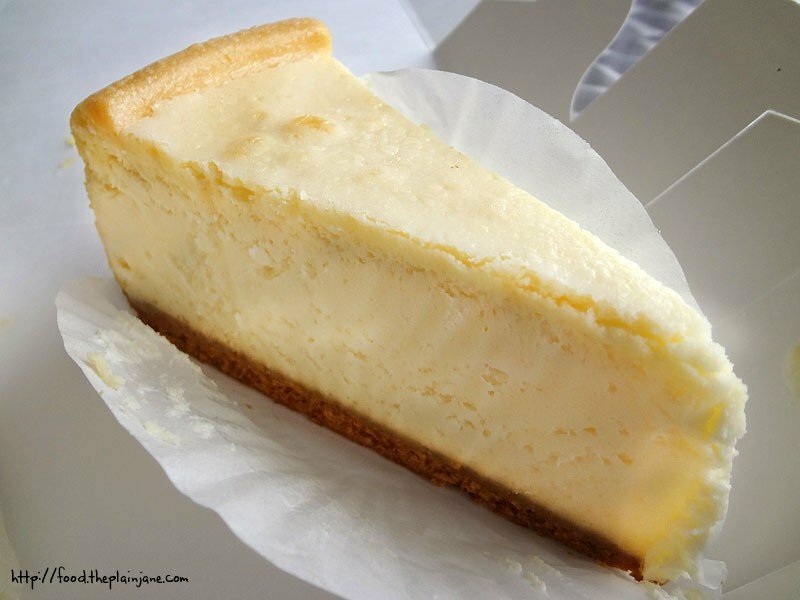 To me, cheesecake should be pure and creamy and rich. The overall flavor can be different (like, I love love love the dulce de leche cheesecake at Cheesecake Factory) but anything else makes me cringe. This version was perfect though – very smooth, creamy, and dense with the perfect amount of crust on the bottom. Excellent. 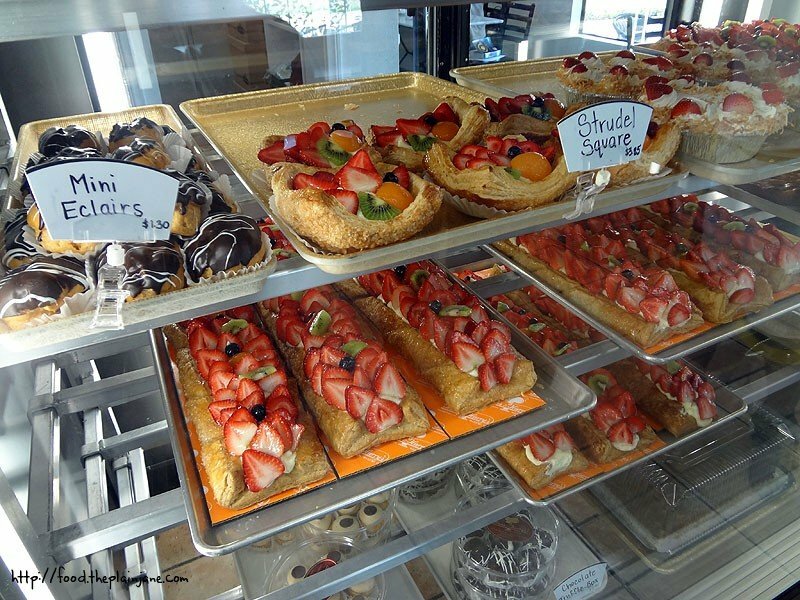 If you’re in the area and are in need of some sweet treats for a party, a special occasion or just because you need a sugar rush, check out Hands and Harry in Bonita, CA! Yay, you’re in our hood! Well, CV is close enough to H & H! Someone just had a strudel at my SIL’s baby shower – sometimes,we get them as gifts by parents at work. They look quite impressive but they also taste good! You have to try their other stuff for your next visit. Hi CC! 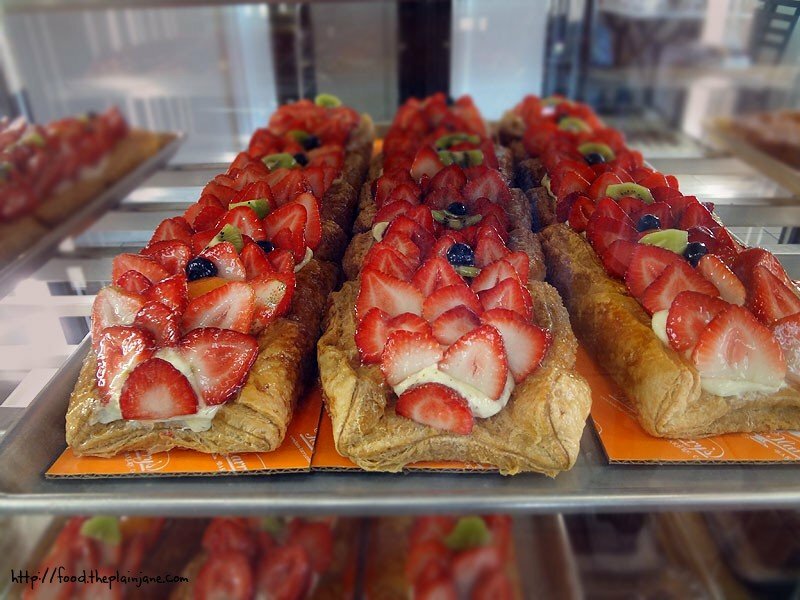 I definitely need to go back to try one of the strudel’s – they look fantastic! They seem like an excellent thing to give as a gift, too. I do remember the tea cakes – they were tasty! Thanks for the tips on what to get on my next visit. I’ll be more adventurous next time! Oh those strudels look so good as do that NY cheesecake! I’ll have to remember to stop by when I’m in the area next time. Get ready to drop $25 on those long strudels! They used to be $20 not so long ago. Ohhhh! I wanna go. Thanks for sharing this gem with us. I hadn’t heard of that bakery. I will totally get the peanut butter bars. YUMMMMMM. 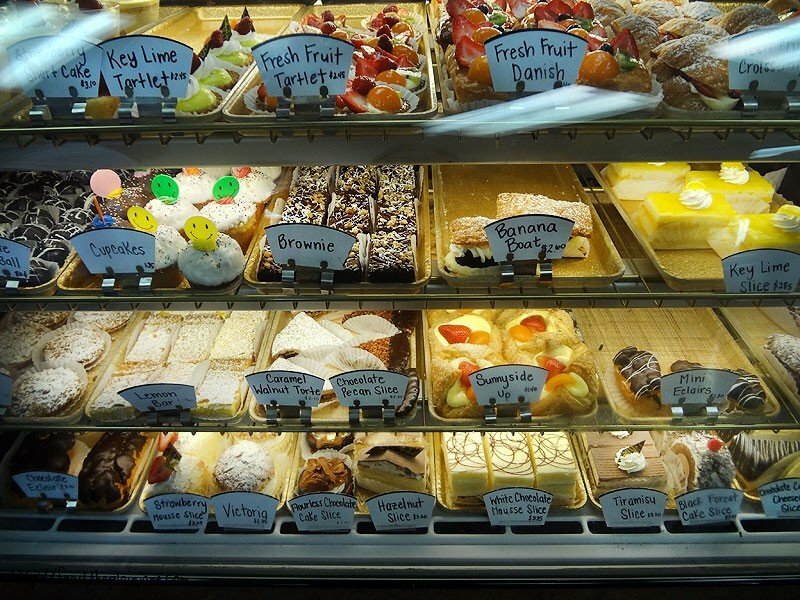 Hi Jenny – They have so much delicious looking stuff, I can’t wait to go back and try more for myself!